Here you can browse Avie’s award-winning catalogue of nearly 300 releases which run the gamut from 9th century Greek orthodox chant to world-premiere recordings, including symphonic, opera, chamber, and choral and instrumental works. 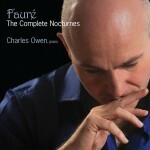 Pianist Charles Owens follows a critically acclaimed release of Fauré’s popular Nocturnes (AV 2133) with a relative rarity – a complete survey of the composer’s Barcarolles uniquely coupled with Trois Romances sans paroles, Fauré’s first published works for piano. The Barcarolles straddle the turn of the 20th century and span a four-decade period, from 1880 – 1921. The works’ dedicatees were a veritable roll call of Parisian musical elite. Though written and published separately, they hang together well through their combination of mystery, humanity and inner poetry. 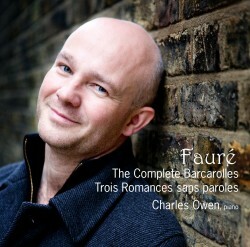 Yet it is a rare pianist who plays all thirteen, a bill that Charles Owen lives up to brilliantly.